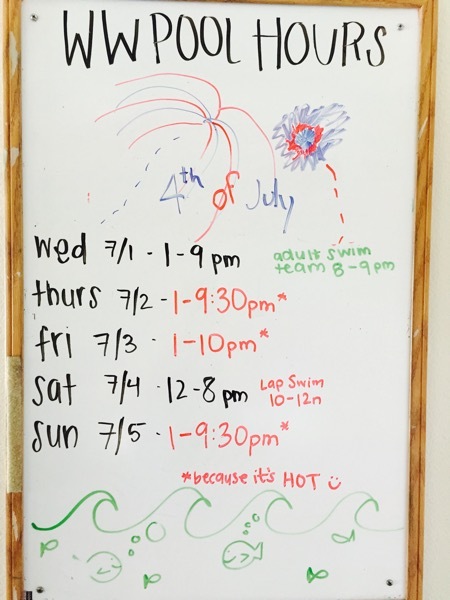 Tweaked the schedule to extend the pool hours a tad on Thursday, Friday and on Sunday too. Come on down and beat the heat before you go to bed… Enjoy! This entry was posted in online news and tagged hours on July 1, 2015 by manager.